In his new book, ‘Altered Genes, Twisted Truths’, Druker has exposed the fraudulent practices and deceptions that led to the commercialisation of GM food and crops in the US as well as claims made by bodies like The Royal Society that have misrepresented the case for GMOs and which have effectively engaged in a campaign of disinformation (see here) . To coincide with the release of the book, he urges The Royal Society to confront the facts about GM foods and take time to take steps to set the record straight. The Society and other proponents of GM foods have inculcated the widespread illusion that there is an overwhelming scientific consensus that the safety of these products has been established through rigorous testing.The following paragraphs (a) describe some of the ways in which the Society has been complicit in generating this and other false notions and (b) set forth specific steps it must take in order to start repairing the damage it has done. 1. 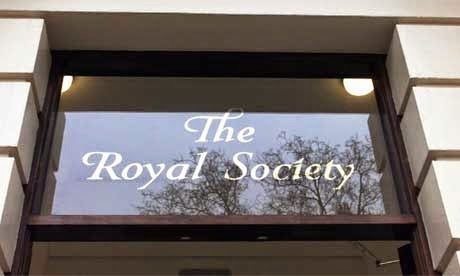 Although for most of its august history, the Royal Society refrained from taking sides on issues or from even expressing an official opinion on a topic, by the mid-1990’s, it had become a partisan defender of genetically modified (GM) foods and embraced a proactive policy on their behalf. This proactive stance was acknowledged in the President’s Address in The Royal Society Annual Review 1998-99, which declared that “We have contributed early and proactively to public debate about genetically modified plants.” One of these contributions was a 1998 report that called for the rapid introduction of GM foods.